Professional aftermarket window tinting makes cars look sleek while adding a layer of protection and privacy. As great as these products are, though, there are laws that limit how dark you can tint your windows. Understanding the laws around window tints can mean the difference between a ticket or citation (or even having to remove a tint) and enjoying uninterrupted driving. Before you book an appointment for car window tinting, take some time to familiarize yourself with the laws about tinted windows in Ontario, not to mention the rest of Canada. Unfortunately, Ontario’s window tinting laws ban aftermarket tinting on windshields for all vehicles. What’s more, tinting on these vehicles’ front side windows must have 70% VLT or higher. This means if you have aftermarket tinting on an older vehicle, the law should not apply retroactively. OEM tinting on vehicles, meanwhile, may have up to 75mm of the top portion of the windshield tinted with 70% VLT. It’s a frustrating limitation on tinting, to be sure, but you won’t be punished for having a pre-existing window tint. Provided the vehicle has both left and right-side rear-view mirrors, there is no limit when it comes to tinting the back side and rear windows. How Dark Is Too Dark? If you can’t see clearly through your windows, then the tint is too dark. Tinting is meant to add a bit of privacy and security and protect you from UV sunlight. You don’t want to impede your ability to see and drive safely. According to Ontario’s laws, you should avoid placing any window film tinting on your windshield and only use an auto tint of 70% VLT or higher on your front side windows. A tint with 70% VLT (visible light transmittance) allows 70% of visible light through, blocking about 30% of the light. This tint is deemed safe enough for tinting front side windows. Any darker could obstruct your view of the road. Auto tinting laws vary by province and territory. And you must abide by these laws, even if you’re just visiting another province. So if you plan to take a road trip to another province or territory, be sure to review their tinting laws beforehand to avoid getting a fine. There are no specific window tinting laws in Yukon. However, there are regulations preventing vehicle windows from being obscured in any way that makes driving dangerous. So these laws may be up to the discretion of individual police officers. And drivers are better off checking in with local authorities. Any type of vehicle modification can affect your insurance premiums or could even void your insurance policy. So before you make any changes to your vehicle, contact your insurance provider to make sure you have adequate coverage that won’t be affected by window tinting. Window tinting laws exist for the safety of everyone on the road, as frustrating as they can be. If window tinting is too dark on the windshield and front side windows, it can obstruct the driver’s view. Tinting also makes it difficult for pedestrians and cyclists to see drivers and make eye contact before passing. Without being able to make eye contact, they can’t tell if the driver notices them or not. Police must also be able to see drivers clearly. As frustrating as it might seem that the police can have tinted windows while civilians cannot, think about it from their perspective: the police don’t know what sort of situation they’re getting into when they pull a car over. While some tint is allowable on side windows, it makes sense that they’d rather have some visibility into a vehicle as they approach. So What Windows Can I Tint? There is only one absolute, sure-fire way to ensure your window tinting won’t result in a fine: keep your tints within provincial limits and never drive in another province. Of course, this isn’t exactly the most practical solution. Play it safe and stick to side window tinting if you want to be able to drive fine-free throughout Canada. So, say you live in Ottawa, and you drive to Quebec once in a while; you can tint the rear and back windows with any percentage of VLT, the front side windows with 70% VLT, and to be safe, no window tint applied to the windshield. Are There Exceptions or Exemptions? Some U.S. states allow medical exemptions for window tinting. Medical exemptions allow drivers to install window tints that are darker than permitted by the law. The reasons for medical exemptions vary and could be due to light sensitivities or the need to be protected from sunlight. But in Canada, there are no medical exemptions for window tinting. Even if you have a medical condition that makes you more sensitive to sunlight, you must abide by your provincial tint regulations. The sun’s UV light is not only damaging to the interior of your vehicle, causing fading, but it is also harmful to your skin and the skin of your passengers. 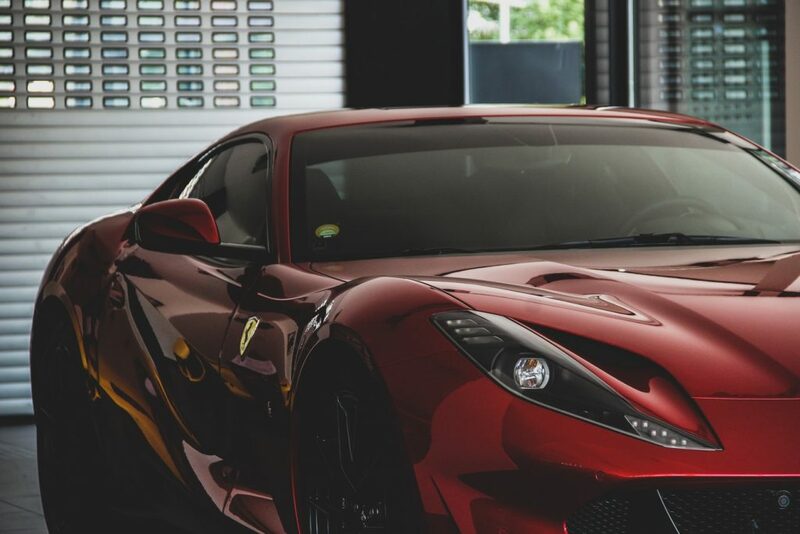 Car tint films also reduce the amount of heat that can get in your car during the hot summer months, making your car’s interior more comfortable and less likely to burn you. Many car owners keep valuables in their car that can catch the attention of thieves if left in plain sight. But by tinting the rear side windows and rear window of your car, you can keep valuables in the back seat without worrying about someone being tempted to breaking into your car. If someone decided to break into your car, or you were involved in a collision, window tint films will prevent broken glass from shattering everywhere. The adhesive film will hold the glass in place, making it difficult to break into your vehicle, and also protect you from being injured by flying shards of glass. Since auto tinting laws vary by province, it can be difficult to decide on the right type of tint for your vehicle. Remember, what might be legal in your province may not be legal in the next, so exercise caution when choosing between window tint options. Car window tinting can be done with the use of window film or spray. But window tinting spray is not legal in some provinces. So you are better off choosing quality auto tint films instead. Car tint film is made of a clear polyester film and a thin layer of tinting agents, which include metals and dyes. The metals reflect sunlight, reducing glare and the amount of sunlight that enters the vehicle, while the dye absorbs light. If you’re on the fence about tint film versus spray, weigh the costs and benefits of each to help you choose the better option. Auto tinting film is an excellent addition to improve the appearance, comfort, and safety of your vehicle. Consider a professional car tint film installation to ensure you get a legal, quality tint that will last.